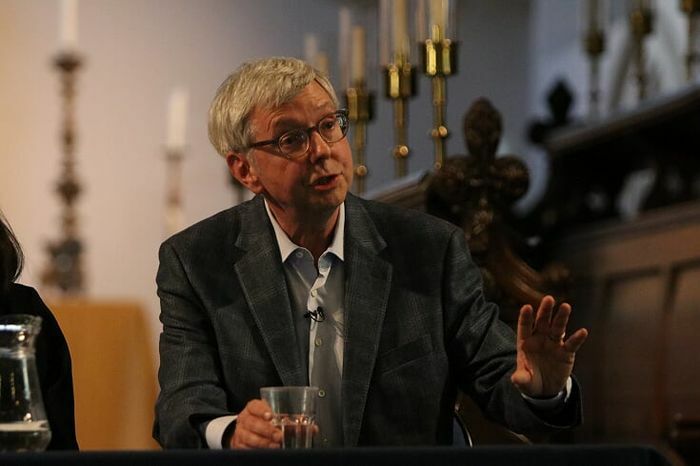 Vice-Chancellor Stephen Toope has warned that the University is headed for a £30m deficit, in an email to staff on Tuesday, as well as on a post published today on his blog on the University of Cambridge website. Toope described the calculated deficit as “manageable in the short term” but “not sustainable in the longer term”. “We must act now so that we do not dig ourselves into a hole, and put the onus on future generations to solve a much bigger problem,” said Toope in both the email to staff and his blog post. Toope’s blog post explained: “One of the University’s great strengths is its ability to seek out and develop new areas of academic endeavour. But these areas of new endeavour are rarely fully funded. This means that we need a clear-sighted view on what activities to stop as we expand into new areas. And where we do expand we need to ensure that costs are fully covered. Political uncertainties were cited in the email as a cause for budgetary concern, particularly Brexit, which may mean “investments in higher education may be reduced or at least remain stagnant”. Toope also pointed to the upcoming Augar review, an examination of post-18 education commissioned by the government and led by Philip Augar. Publication of the review’s report is expected this year and it has been suggested that the report may recommend a reduction in the tuition fees of English universities. Toope argued that unless the government can supplement the loss of income which this would precipitate for higher education institutions, the sector may see an overall decline in funding. A University spokesperson told Varsity that “pressures on budgets are increasing, both because of internal funding pressures and external uncertainties. “While a cash deficit was foreseen, a growing deficit is not sustainable over the long-term, hence the need to make savings, increase revenue, simplify processes and decide which activities are a priority. The Cambridge University and College Union (UCU), however, has criticised Toope’s call for financial discipline, commenting that “Toope’s call is troubling and disingenuous. Troubling because in calling for ‘financial discipline’ he gives no sense of the principles (as opposed to financial calculations) that will guide decisions about budgets and planning. He provides no commitments to safeguard equality, fairness or access. This article was updated on Monday 25 March 20:25 to include comment from Cambridge UCU.